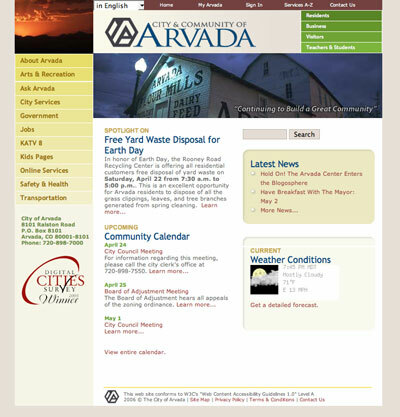 The City of Arvada, Colorado invited web companies to submit proposals for the redesign of the city's public website and community information portal. Ideacodes was selected out of twelve competing firms and awarded the contract to provide concept designs as well as create and code the full design suite for the new site. 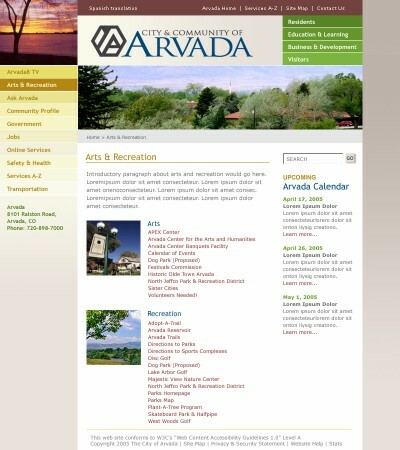 We created visual designs for the public website and community information portal for the City of Arvada, Colorado, with a focus on usability, modularity, and user experience. Concept designs, user interface design, XHTML/CSS coding and implementation.